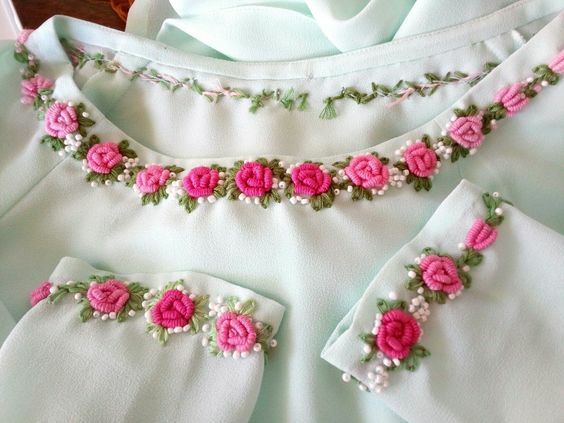 A beautifully embroidered neckline uplifts the design of the entire garment. But which embroidery to choose from confuses most of us. 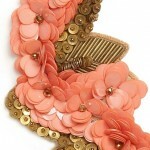 Well we have listed a few such styles which will help you to choose one for your next garment…. French knot style– Needle embroidery never fails to impress, and when done in bright colors it truly lifts up the spirit of any garment. This is something which you yourself can try at home, all you need is a few colorful embroidery threads, embroidery canvas and a needle, beads and the motif and the piece of clothing on which you want to work. 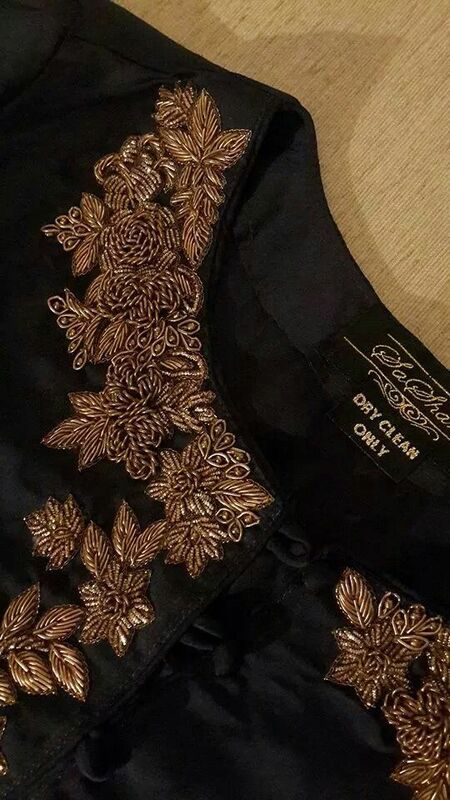 You can also do it on your pre stitched suits and shirts, but you will have be careful as if not done properly there could be puckering in between the motifs and the embroidery will not turn out that neat. 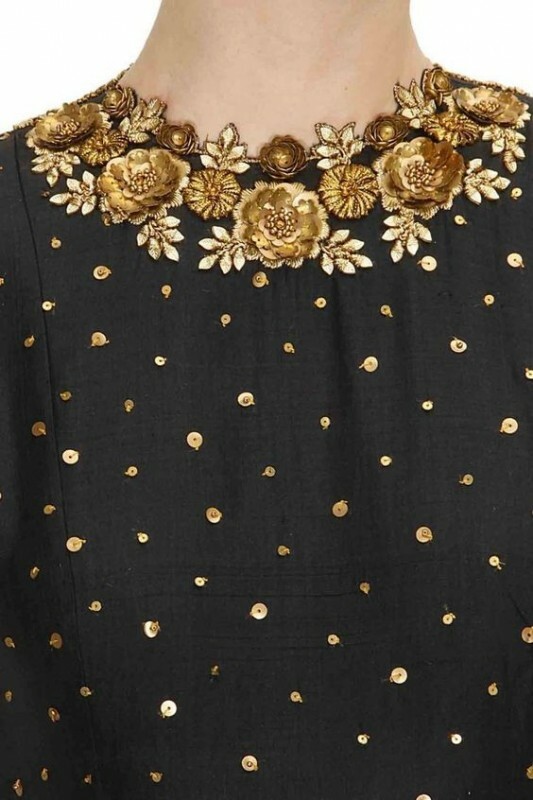 The jewel effect– Boat necklines are best to work with this embroidery style. 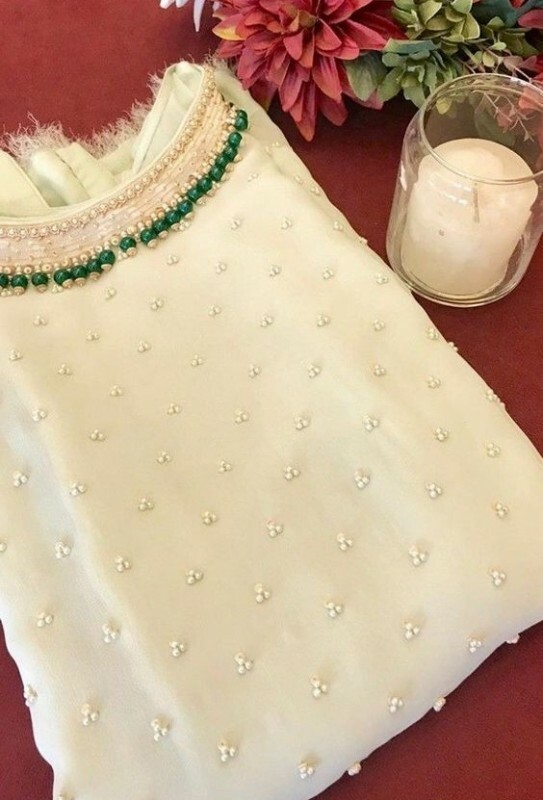 Its great when your garment has a jeweled neckline as it highlights the neckline in a perfect way, and then you don’t have to think of wearing a neck piece with the garment. 3-D embroidery– This embroidery style is basically done in a raised pattern and looks like a 3 dimensional or a live thing. 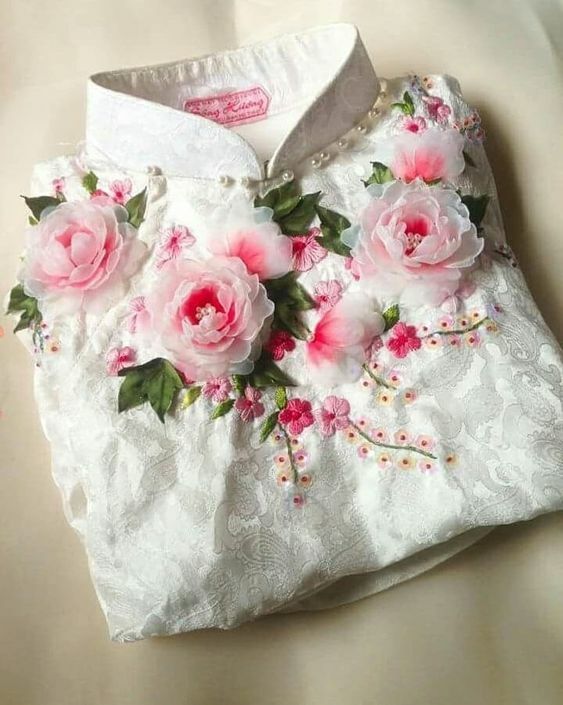 Though 3D embroidery is done in many ways, this particular style is done with organza fabric cutouts, the fabric petals are sewn onto each other that they look like a real flower at the end. Zardosi effect– Zardosi work on the necklines look rich and beautiful. 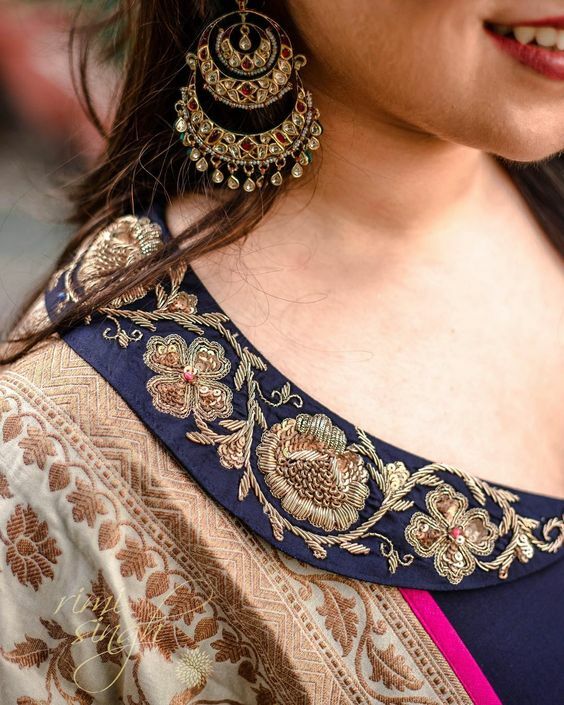 Though they are high on maintenance, but if you want to wear an ethnic embroidery than this is the best thing which you can go for. It goes nicely with most of the Indian silhouettes. 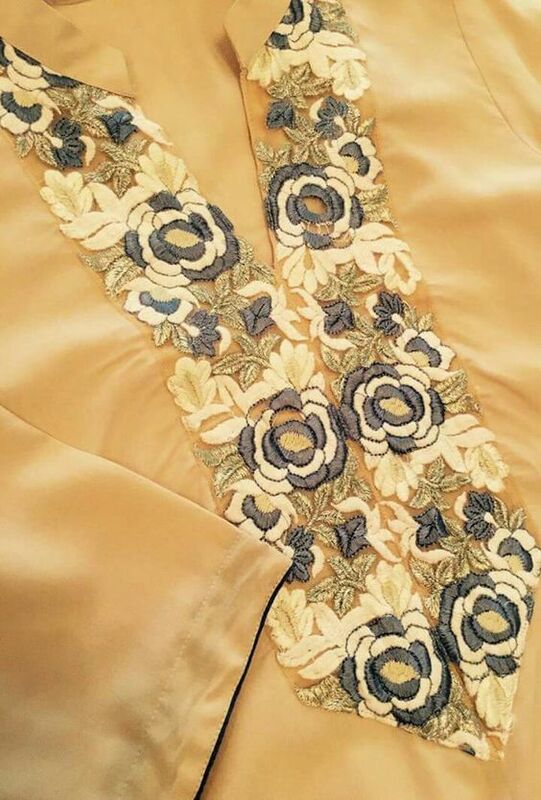 The Parsi stitches– It is a chic embroidery style which is basically done with hand, but a replica can be created with the machine stitches as well. 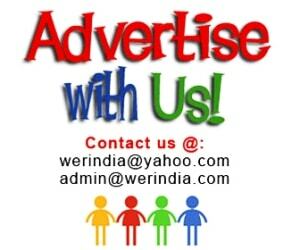 3D sequence work– Sequence come in different shapes, sizes and material and are also available in 3D styles. When combined creatively, a raised 3D pattern is created like this. The design created basically depends on the shape of the sequence picked up for the design, as they come in several shapes like a flower and a leaf and many more. 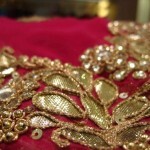 Mirrorwork– When you need to add a dose of bling go for this traditional embroidery technique to jazz up your clothes.